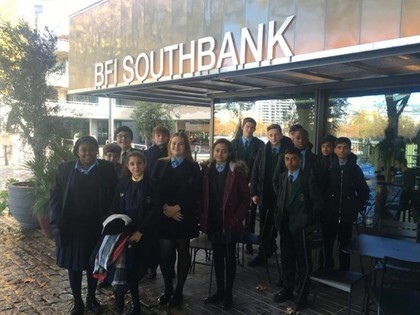 On Monday, 12th November a group of Bishop Challoner students travelled to the British Film Institute on South Bank to listen to a Q+A with acclaimed film director Joe Cornish. The group of students from Year 8 and 9 listened as Joe talked about the films that he'd made and how he first got into film. Our group were also treated to an exclusive preview of Joe's new film 'The Kid Who Would be King", which will be released next year. The students had a fantastic time and we'd like to thank Ms Abidi and Ms Harrison for making the trip possible.